“The first time I had anything to do with Thomas Hardy’s Ale I was a fairly inexperienced young drinker. At the time I preferred classic English bitters, so I didn’t know what to expect from this highly alcoholic, wine-like bottled beer. As I grew older, however, I learned to love it, and I have followed its adventures ever since I began writing the Good Bottled Beer Guide for Camra. The problem is that it’s really difficult to find it for sale in Britain. Thomas Hardy’s Ale has always been more popular abroad. I also remember how surprised I was to see quite a lot for sale in Italy, while I hardly ever found it in the UK, even though I lived less than a hundred miles from the brewery. However, one of the most emotional encounters I ever had with Thomas Hardy’s Ale was when I visited Eldridge Pope soon after it became a “third party” brewery. It was wonderful to see the first bottle of Thomas Hardy’s Ale ever produced, but it was clear to me that all the heart and soul had gone out of the old brewery and there was really very little feeling of interest in past glories. That’s what I thought when, during the visit, I happened to pass through a room with a large number of old vintages of Thomas Hardy’s Ale. The guide who was showing me round told me to help myself, take whatever I liked, and I somehow got the impression that they were probably going to throw it all out. I remember very well that I left with a few bottles from 1983 onwards. I’ve still got some of them”. Jeff Evans. British, began writing professionally about beer in 1980. Contributes to various sector publications (All About Beer, What’s Brewing, Morning Advertiser) and has written many books (Good Beer Guide, Good Bottled Beer Guide, Beer Lover’s Britain, A Beer a Day). “Thomas Hardy’s Ale had already become legendary when I started writing about beer in 1990, but it was a few years later that it really became an icon for me. The occasion was a vertical tasting of eight different vintages of Thomas Hardy’s Ale, including the very first, from 1968. I was invited to Emmaus, Pennsylvania, by John Hansell, who founded the magazine Malt Advocate, now called Whisky Advocate. I was there to write an article for Saveur, alongside other tasters, including George Saxon, who at that time was the importer of Thomas Hardy’s Ale to the United States. Stephen Beaumont. Canadian, judge in various international competitions, author of The World Atlas of Beer and the Pocket Beer Guide. His articles have been published in The Celebrator, Ale Street News, The International Herald Tribune and Whisky Advocate. What I’d like to see from the “new” Thomas Hardy’s Ale is an amazing recreation of what it once was, which will leave drinkers open-mouthed… and I love the label. How many other beers have literature on the bottle? Adrian Tierney-Jones. British, journalist who writes for the Daily Telegraph, All About Beer, the Sunday Times Travel Magazine… Author of British Pubs and The Big Book of Beer, editor of 1001 Beers To Try Before You Die. “The first time I came into contact with Thomas Hardy’s Ale was thanks to Barrie Pepper, who was then head of the British Guild of Beer Writers. Obviously Thomas Hardy the writer had been dead for more than sixty years, but he “lived on” in this unusual beer. To tell the truth I didn’t know the writer, let alone The Trumpet Major, which surprised my host, who thought everyone had read something by Thomas Hardy in their lifetime. Well, I hadn’t. Conrad Seidl. Austrian. His Bierkatechismus was published in German, Portuguese and Italian. He regularly works with Falstaff and Getränkefachgroßhandel, but also publishes articles in All About Beer, Penthouse and Brewer’s Guardian. He publishes Conrad Seidl’s Bierguide annually. I believe the “new” Thomas Hardy’s Ale should not merely be a perfect replica of the original. The real challenge for the brewers producing it is to interpret Thomas Hardy’s Ale, achieving the objective they have set themselves and retaining the spirit, as well as the idea, of what Thomas Hardy’s Ale represents”. Hans-Peter Drexler. German, brewmaster for over twenty-five years at the Schneider Weisse Brewery, and world authority on weizen. “The first time I came across Thomas Hardy’s Ale was at the Great British Beer Festival in London towards the end of the seventies. One stand was selling bottled beers and a man came along complaining that there weren’t enough strong beers available at the festival. He was offered a Thomas Hardy’s Ale and told that the alcohol content was 12% vol. “Fantastic,” he replied, “can you open it for me?”. He didn’t look too impressed when they told him the beer should be kept another three years before being drunk. But when I had the opportunity to taste it, yes. I was immediately struck by its profound complexity. It was a kind of hoppy wine. There were fresh notes of leather and tobacco, and hints of spiced hops and candied fruit; the richness of malt dominated the palate, followed by a long finish full of liquorice, leather, sherry and the bitterness of hops. Roger Protz. British, doyen of beer writers, he has written more than twenty books on the subject. These include The World Guide to Beer, The Ultimate Encyclopedia and 300 More Beers to Try Before You Die. His articles are published in Beer, What’s Brewing, Beer&Brewer, the Independent and the Guardian. “I remember drinking my first Thomas Hardy’s Ales several decades ago. They were excellent beers. Sadly I don’t remember much more, except that they were truly exceptional when they were still produced by the original brewery”. Charlie Papazian. American, one of the “fathers” of the American brewing renaissance. Founder and current president of the Brewers Association, he was also involved in creating the Great American Beer Festival. Among his publications: The Complete Joy of Home Brewing. I still have some bottles from the eighties and the early nineties. My favourite Thomas Hardy’s Ale is still the one I drank with Michael Jackson at his house in London. I didn’t know him very well then, but by the time our glasses were empty, we had become friends. Garrett Oliver. American, brewmaster at the Brooklyn Brewery in New York. Author of The Brewmaster’s Table and coordinator of The Oxford Companion to Beer. Writes for several magazines and newspapers, and frequently hosts TV shows.  I believe that the “new” Thomas Hardy’s Ale, at least for the first year or two, should be a faithful reproduction of the original recipe, including the label. Only once the history is re-established will it be interesting to try a special edition, maybe with different hops or malts and naturally, a label that distinguishes it from the classic version”. Steve Grossman. American, with his brother Ken in 1980 he founded Sierra Nevada, one of the most successful craft beer companies in the USA. Steve is Brewery Ambassador for Sierra Nevada. “I confess I don’t have all that much confidence in Thomas Hardy’s Ale. At least as a beer drinker. I remember buying some bottles in the early eighties and being surprised by the fact that it was recommended to be drunk after at least 10 years of ageing. At that time the idea of ageing a beer in the bottle was unusual, to say the least. Unfortunately, this wasn’t the normal way of drinking it. Most Thomas Hardy’s Ale was drunk in pubs belonging to Eldridge Pope, without the ageing it needed. Then later, when the brewery separated from the pubs linked to it, the main market for Thomas Hardy’s Ale disappeared, and this, in my opinion, was what sunk Thomas Hardy’s Ale the first time round. However, one of the most interesting things about the Thomas Hardy’s Ale produced by Eldridge Pope was that it was made partially from some of their bitters. The recipe for the very first batch, which was less strong than subsequent batches, used both lager malt and wheat flakes. The beer itself was really a clear evolution of their less alcoholic Goldie Barley Wine”. Ron Pattinson. British, beer historian. Writer of the blog Shut up about Barclay Perkins.